"Change your thoughts, and in the twinkling of an eye, all your conditions change. Florence Scovel Shinn was an American artist and book illustrator who became a New Thought spiritual teacher and metaphysical writer in her middle years. Shinn was born in Camden, New Jersey and was the daughter of Alden Cortlandt and Emily Hopkinson Scovel. She was educated in Pholadelhia where she attended Pennsylvania Aademy of the Fine Arts and there met her future husband, the artist Everett Shinn. After marriage they moved to an apartment near Washington Square in New York. Florence's husband built a theatre next door, even casting her in the leadig role of three plays that he had written. Florence began working as an illustrator at this time. Florence and her husband divorced in 1912. Her metaphysical work began when she began writing and publishing books. Her philosophy centered on the power of psoitive thought and usually included specific instructions, affirmations and personal anecdotes. 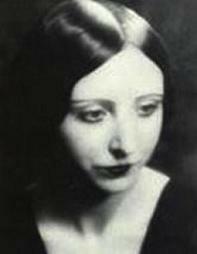 Florence Scovel Shinn's writings were influential to the New Thought movement and her ideas followed in the traditions of Emma Curtis Hopkins, Unity Church co-founders Charles Fillmore, Myrtle Fillmore, and New Thought founder Phineas P. Quimby. Modern Motivational New Thought author Louise Hay also credited Shinn as her early influence. In New Thought circles, she is best known for her first book, "The Game of Life and How to Play It" (1925). Shinn's book "Secret Door to Success" was published shortly before her death in 1940. Shinn expressed her philosophy as: "The invisible forces are ever working for man who is always ‘pulling the strings’ himself, though he does not know it. Owing to the vibratory power of words, whatever man voices, he begins to attract."